If you are selling online, chances are a constant bugbear will be the number of customers abandoning their items before completing the checkout process. If you are just starting out and panicking at so many people leaving your website with unpurchased items in their baskets, don’t despair you’re not alone. Shopping cart abandonment is an ongoing issue for even the biggest of players. Indeed according to research, the average documented online shopping cart abandonment rate stands at around 68.63%. It’s inevitable that some customers will sail away and will never complete that particular purchase no matter what you do. However some customers can be enticed back to complete the sale. One of the most effective ways of doing that is through abandoned cart / dropped basket emails. Some of these will be within your control. For example if you have a long, convoluted checkout process then you can take steps to fix it. Other reasons are going to be completely out of you control such as a customer’s telephone rang mid-purchase and they simply forgot to go back and complete the process. A positive aspect to all this is that 75% of all visitors who abandon their cart do actually intend to buy. This is where shopping cart abandonment emails come in to play. Implementing shopping abandonment emails can be great way to pull back some sales you may have thought were lost. Outlined below are some inspiring statistics for cart abandonment emails from an Econsultancy article. 11.6% (over a tenth) of shopping basket abandonment emails are clicked. 44.1% of all shopping cart abandonment emails are opened. The average order value of purchases from shopping cart abandonment emails is 14.2% higher than average purchases. Every single dropped basket email sent delivers over $8 in revenue. The trick is to make them as successful as possible. So we’ve outlined some helpful tips on how to create winning shopping cart abandonment emails for your business. Probably the most important element to getting an uplift in conversions is the timing of your email – wait too long before sending a reminder and your customer may well have gone elsewhere. The consensus seems to be that the initial abandonment email should be sent within the first hour of a customer abandoning their basket. In an ideal scenario you would be aiming to catch a potential customer before they leave their device and forget all about their half-finished purchase. 95% of people who purchased after abandoning a cart took up-to two weeks to complete their purchase. Create a sequence of timely reminders to try to catch those who take longer to make a purchase or who need a little more encouragement. In any email the subject header is important. To even get opened it needs to stand out from all the other emails in the inbox. Do make it clear in the subject header that your email is reminding them that they have left something in their shopping cart. As well as pointing out to your customer what exactly it is that they’ve left in their cart, also use your copy to try to remind customers about why they chose to put the product in their basket in the first place. John Lewis includes a clear link back to the product details so the customer can easily remind themselves of the product benefits. Use your copy to create a sense of urgency and possible loss. For example the product is selling fast and you may not be able to guarantee how long the product in will remain in stock. Try and convey to the customer what they may risk missing out on if they don’t act soon. If you can, include a visual of the product your customer has left in their basket. It tells people in an instant exactly what it is you’re emailing them a reminder about and can help reinforce the reasons they chose the product or service in the first place . Here is an example of a Boden dropped basket email with a strong visual of the product in question. Always include a very clear call to action that takes the customer back to their basket so they can easily complete their purchase. Don’t tuck it away in the corner of youR email but display it prominently so the customer won’t miss it. Also make it very clear to the customer what it is you are asking them to do. In the White Stuff email below, they have put two clear call to action buttons on the email, with a very straightforward call to action: Complete Order. Abandoned cart emails can be a great way to pick up those customers who, for whatever reason, have left the checkout mid purchase. A well-considered dropped basket series may help turn around a sale that could potentially have been lost for ever! We’d love to hear your thoughts and experiences on shopping cart abandonment emails so please do leave a comment. You know you should be measuring the value of your marketing, but you’re not sure how to go about doing that, exactly. Fortunately, marketing is a science, not a guessing game. You can measure it like you would anything else. Here’s how. Marketing companies, like Yodle.com, recommend that you focus on your revenue attribution when tracking and measuring sales and marketing investment. In other words, where do your sales come from? If you pump a lot of money into your Adwords platform, do you know whether it’s paying off? It is paying for itself? If you don’t know this, you should. Likewise, you should have an understanding of the weighted-average ROI for all marketing and sales initiatives. So, If 60 percent of your marketing dollars are spent on pay-per-click, you should have a system in place to measure the total efficacy of your marketing dollars, with 60 percent weight given to the PPC platform. You’ll also need to make sure that your shopping cart software is capable of integrating third party tracking scripts into the order completed web page to pass back sales metrics to your Adwords marketing platform to accurately track ROI. Does all of this sound complicated? It can be, and that’s often why small businesses hire a marketing firm to do this for them. Marketing is a skill – a vastly under-appreciated skill. It’s not something that most people can successfully do all by themselves. Sales and marketing departments rarely talk to each other, even though they’re on the same team. Heck, their jobs depend on each other. So, show them exactly how dependent they are on each others’ successes. Tie compensation and bonuses to their counterpart’s success. Show the sales department the impact they have on their marketing brothers, and vice-versa. Once each department fully understands the impact on the other, you can then better coordinate marketing dollars between the both of them. Instead of competing against one another, they will trade off finite marketing dollars and work together to allocate those dollars for maximum revenue and profits, regardless of how much each department gets. Sometimes, it’s hard to know what the data is telling you. It is, after all, just numbers on a screen. But, with that in mind, there are some things you can glean from your data sets. One of those things is the click-through rates on links, open rates of emails, sales, and visitor flow. Of these, visitor flow is the least understood, but possibly the most helpful analytic you could measure and analyze. Visitor flow means how visitors move through your site. So, for example, if a visitor lands on your homepage, and goes to your “About” page, and then stops at your order page without ordering anything, something between the homepage and the “About” page prevented the sale. Of course, there’s always the possibility that the price was too much for the customer, but that raises the question: “why was the prospect not sold?” Maybe you need to sculpt your “About” page and homepage to better anticipate shopping cart abandonment or bouncing on the sales page. Maybe you could take the links to the sales page off the “About” page, if they’re there. Or, don’t allow people to click directly to the order page if they’re on the home page. Or, create a “pre-sell” on both pages or at least one of those pages. Guest Author: Loretta Martinez Loretta has decades of experience in marketing. With innovations and trends keeping her busy, she often blogs about the basic tips and tricks to successful marketing plans. Jessica Kornfeind is the Social Media Specialist at Ripen eCommerce, which has provided comprehensive eCommerce solutions for clients since 2004. Working in close partnership with online businesses, Ripen’s eCommerce web development, marketing, creative and technology teams build intuitive user experiences that boost online sales. An endless problem for eCommerce companies is the fight against abandoned online shopping carts. Your customers are showing a genuine interest in your company by taking the time to choose items or services and placing them in their cart. Even then, about 67% of customers are still leaving without making a purchase. What can you do to prevent buyers from leaving your online store empty handed? 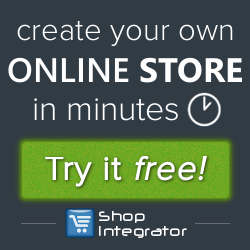 It’s time to evaluate the order and checkout process of your site. With a few simple tweaks you may see a drastic reduction in the amount of potential sales left in online shopping carts.